During the Great War, several Germans reported that their advances had been repelled by British machine gun fire when, in fact, the British did not have a machine gun with them. What they had instead were SMLE Mk III rifles chambered for 303 British. 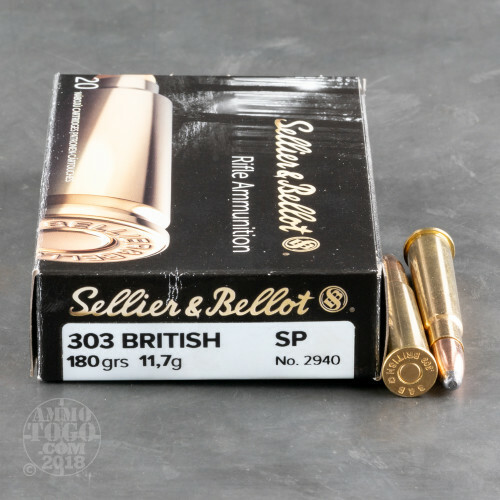 This 303 British round by Sellier & Bellot is certainly substantial enough to repel nearly any order of attack, although we should hope that you will enjoy it for hunting deer instead. Its 180 grain projectile is one of the heavier weights that its caliber is available in, and it is a soft point. Its exposed soft lead core permits it to widen devastatingly as it advances through a soft target, and its partial jacket serves to ensure that that expansion occurs in an orderly fashion. 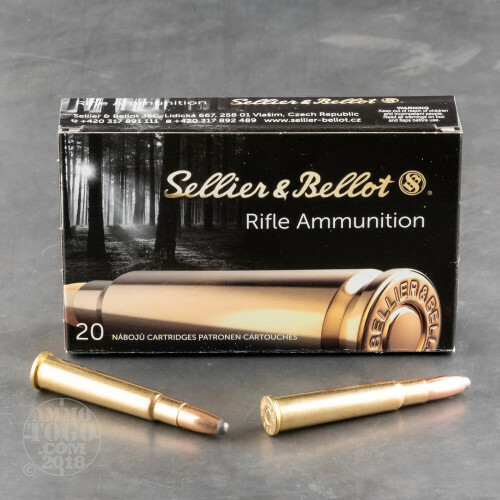 Sellier & Bellot’s ammunition always performs admirably, leaving nothing to chance once you’ve gotten a target in your sight. 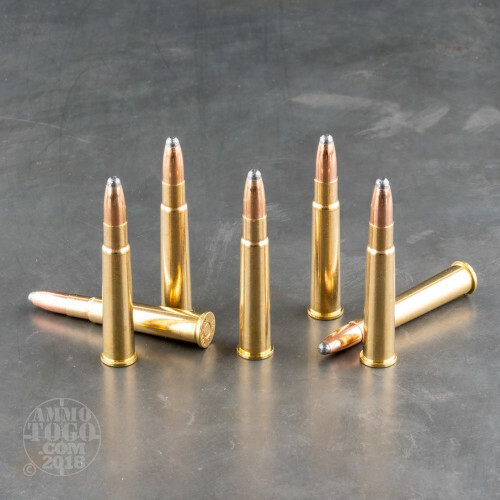 This round’s brass casing possesses highly uniform dimensions, and its sturdiness lends itself to repeated handloading. Its Boxer primer is non-corrosive, and its propellant delivers a highly consistent muzzle velocity. 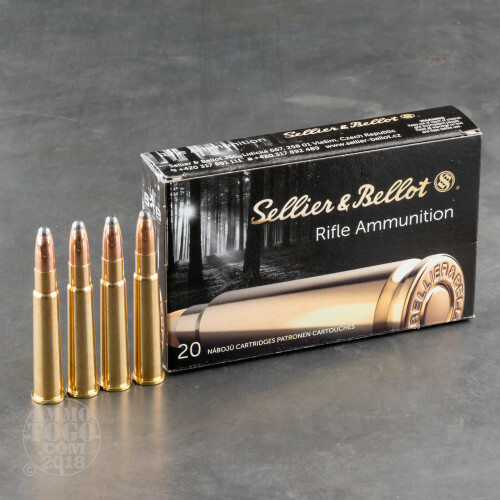 Great ammo, shoots clean and is accurate.